Each day, when there is a new article available on our website, you can get a summary in your inbox. You can open it whenever it is more convenient to you, read it and decide if you want to open the rest of the article or not. The only downside is that some e-mails can get lost into your spam folder (spam filters being overzealous and all). If you subscribed and have not received an e-mail from us for a 3 or 4 days, you should check your spam folder. Most probably the latest updates are there, waiting for you to mark them as not being spam but useful information. Click on the icon or here subscribe. If you do not like receiving daily e-mails, you should consider our weekly newsletter. It gets sent every Sunday and it gives you an overview of all the articles we published during the week. The only downside is that some e-mails can get lost into your spam folder (spam filters being overzealous and all). If you subscribed and have not received an e-mail from us for a week, you should check your spam folder. Most probably the latest updates are there, waiting for you to mark them as not being spam but useful information. Click on the icon or here subscribe. If you are the geek type, you surely know what RSS is, so you don’t need to read the rest of this paragraph. However, if you are a beginner, do read Wikipedia’s page on RSS. Also, check out the Top 9 Windows RSS Feed Readers. We are big fans of Google Reader but it might now work for you. So, try out all the choices. Click on the icon or here subscribe. Facebook has both lots of users and enemies nowadays: some love it, some say it kills your privacy. If you do enjoy using it, as most of our team members do, you can get subscribed to our fan page and get timely updates with our latest articles. Definitely recommended to those who check their Facebook account a couple of times per week. Click on the icon or here to become a fan. The geeky social network called Twitter might not appeal to most of our readers but, if you do happen to use it regularly, you should consider following us. We have a user who’s only automated job is to tweet our latest articles. Follow it and stay updated. Click on the icon or here to follow our site’s user. We finally found the time to join Google Plus and create a special page for our fans who use this social network. If you don’t like Facebook, you should definitely consider Google Plus and following us there. Click on the icon or here to follow us. 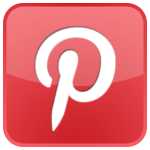 Pinterest lets you organize and share all the beautiful things you find on the web. We love the heavy dose of great visuals and bet you will too! Click on the icon or here to follow us.